We would love to share with you that Villa Meena has hosted another happy customer that checked out today. 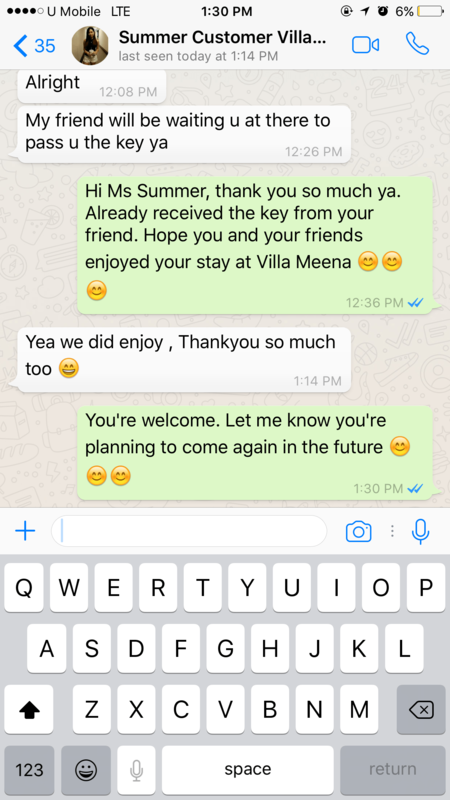 Thank you Ms Summer for choosing Villa Meena and hope to see you again soon! ← Our biggest bedroom have gotten another Queen bed!